Stylish mary janes in rich fuchsia pink patent with silver trim and heart and logo detailing. 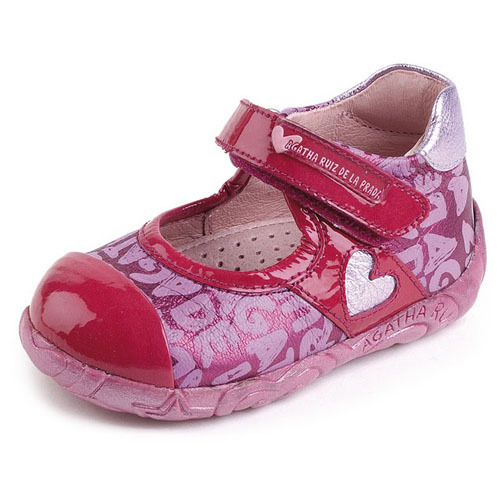 These shoes are great for a young toddler offering superior comfort, lightweight (about 3 oz. ), flexibility and styling that will surely not go unnoticed.